An emergency happens at any time of the day, here at SW Towing we provide 24hr Car towing service for those random It can be really frustrating if you are running late for school, work or an appointment because of a car that will not start. Although this situation can be resolved, by just using another car or hailing a cab, it can be hard if your car stalled in the middle of nowhere or if it’s jammed on the side of the road or if you are locked out, because you lost the keys or if it’s locked out. If you find yourself in this situation you can always depend on SW Towing 24 hours car towing services. 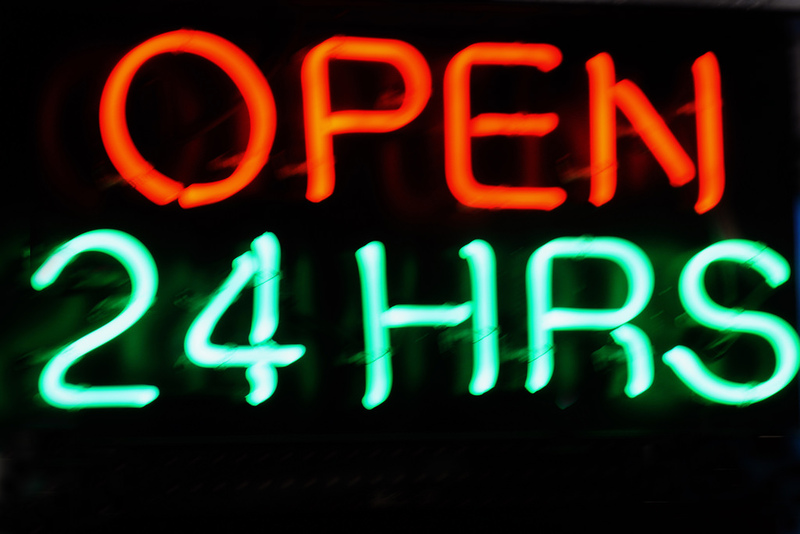 At SW Towing all of our services are available round the clock. We know that car problem can occur any time of the day, no matter where you are. As car owners ourselves we can only understand the frustration you have to go through. That is why in order to deliver exceptional service, we made all our services available at all hours for seven days a week. You may have all the tools, the ability to change a flat tire and a spare, however, certain situations may prevent you from fixing a flat tire. This is how a towing company can help. We can help you with changing your car tires or tow your car to the nearest garage to have it fixed. If your car won’t start, it is mostly caused by a battery problem. In order to resolve this problem, you may need someone’s help to jumpstart your car. Battery problems sometimes occur due to extremely cold temperatures. If you are uncomfortable in asking help from strangers, calling for help may be a good idea. It is not uncommon for a motorist to live their keys inside their cars. If you happen to have a spare key with you, then well and good, but if not, a towing contractor can help you with unlocking car doors. A towing company can help you in pulling you out if you, for some reason got stuck in snow or mud. You may have already tried to rev your car to no avail. Your towing company can help you in getting your vehicle unstuck. In the event, you may have run out of fuel, without any sign of any gasoline stations or if you just forgot to gas up and you are far from a local gas station, your towing company can give you the help you need. You can request your towing company to deliver the fuel to you. We can tow a wide range of vehicles for you. It doesn’t have to be just a broken automobile, but also other types of vehicles such as luxury cars, limousines, boats, buses, motorhomes, motorcycle and a lot more. No matter what time of the day you may need towing assistance, at SW Towing we have what you need. All the services are available round the clock and at a very affordable service. Schedule a service now and give us a call.